HEY! Who Took Out The Cobequid Subway Sign? | Sack-Vegas!!!! HEY! Who Took Out The Cobequid Subway Sign? 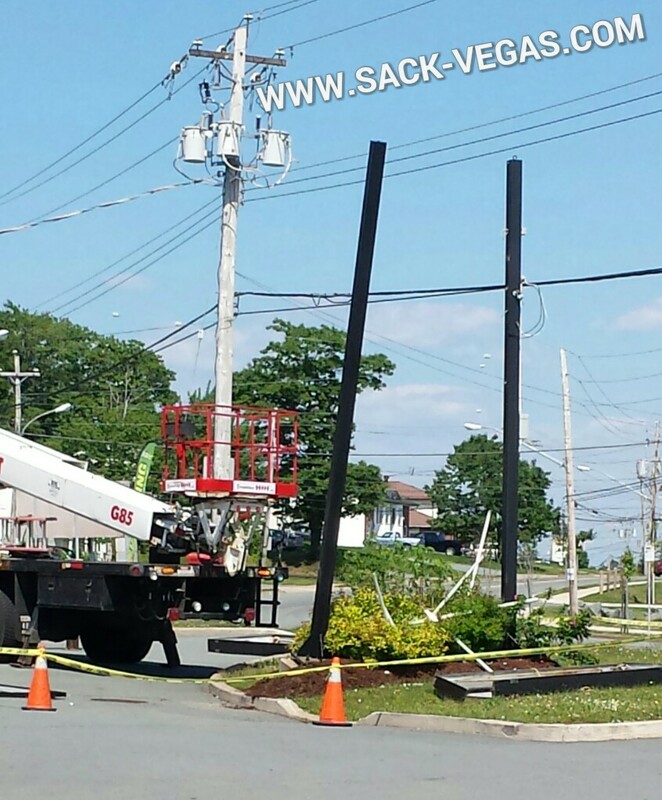 Of all the ratty looking signs around Sackville to get smucked…someone smucked a newer, nice looking one! Buddy at Cobequid Ultramar tells me a tractor trailer smoked it in the wee hours of the morning and kept on going. Posted by Sacky on June 28, 2014 in Uncategorized.